Newton's third law of motion says that for every reaction, there is an equal and opposite reaction. Over 300 years ago, Isaac Newton used the laws of motion to explain the movement of many physical objects. Rocket engines work under the principle of Newton's third law of motion. Most rocket engines turn the fuel they carry into hot gas. The engine pushes the gas out its back causing the rocket to move forward. The more fuel burned, the faster the space ship moves. A lot of fuel is needed to lift a rocket into space due to the Earth's gravity. Many rockets are made up of multiple parts. 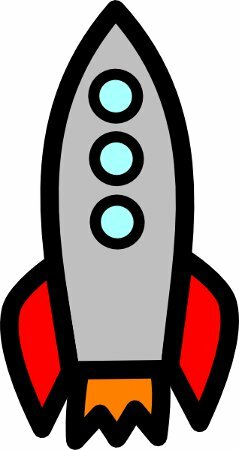 When a part of the rocket has used up all of its fuel, it is dropped by the rocket to make it lighter. The discarded part then falls back to Earth.